Time for some strawberry nails take 2!! I thought I would try some nubbin strawberries. These were super easy to do. I started with a base of OPI 'Shorts Story' and then added the dots with a dotting tool and OPI 'Alpine Snow'. The leaves are a base of L.A. Girl 'Peacock' and then L.A. Girl 'Can U Dig It?' on top done with a small art brush. Great second strawberry nail option! 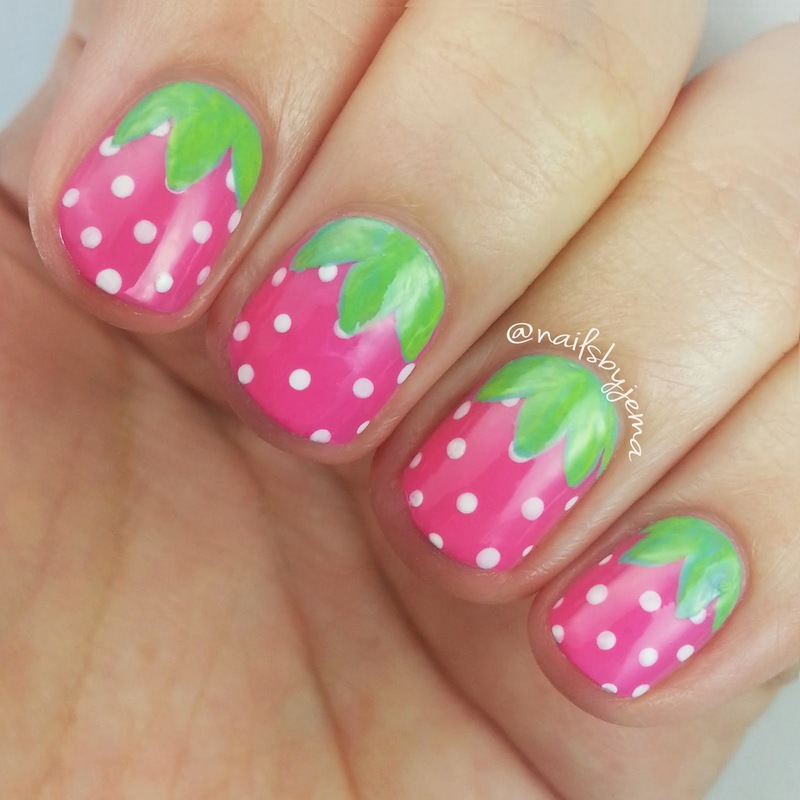 Who doesn't love strawberry nails?